Nowadays, a certain impatience with, and even contempt for, secrecy and secrets is widespread even (or perhaps especially) among people who study magical, occult and esoteric subjects. There are many reasons for this. One of them, I suppose, is a natural irritation at having things kept secret from oneself. Another is a clear sense of the various abuses to which secrecy, and promises of secrecy, can be put. At the very least, secrecy can be an excellent cover for bankruptcy. In an often-quoted remark, Aleister Crowley complained that the Golden Dawn swore him to secrecy with mighty oaths, and then revealed to him the names of the planets and the Hebrew alphabet1. If this was all there was to it, the only reason for persisting would be the one which led so many people to praise the Emperor’s invisible new clothes — a disinclination to admit unequivocally that one had been duped. This is one of the keys to the use of secrecy as a tool of manipulation, and one that has been well explored by sociologists and social psychologists. There are, however, many perfectly practical reasons for requiring secrecy as a condition of membership in a group, all of which have arguments to justify them. It might be, for example, that certain information could put the group or some of its members at risk if widely known — or that certain kinds of information could be dangerous to have in general circulation. Or again, a group might depend on having a monopoly on a certain skill — thus we have trade secrets (which include the secrets of professional spies and cryptographers). Related to this is the use of secrecy to create internal cohesion and interdependency: at its most benign, this is an educational (as well as marketing) strategy that captures and directs the attention of students. I suppose this was common enough in traditional crafts; some martial arts traditions still use this as a teaching device. This last reason for secrecy points us away from the realm of purely worldly wisdom, and in another direction, toward that aspect of the world that is everywhere shared but nowhere seen. There’s an old story about the psychologist who wanted to see what an ape would do in a human habitat. He furnished a studio apartment, brought the ape in, installed it in an easy chair, and then left. As soon as he left, he bent down to look through the keyhole — and saw the ape’s eye looking out at him. Sartre describes a similar situation — the person peering through a keyhole in a corridor, who suddenly hears a noise and realizes that someone has been watching3. In either case, a person who was at the center of a scene suddenly experiences a vertiginous moment of being thrust to the periphery — a moment of being vulnerable to the defining gaze of another. This is why people who look through keyholes prefer to do so in secret. But it is also true of any situation in which one feels that to be perceived is to be misperceived (as teenagers suppose when they keep secrets from their parents) — or perhaps perceived all too accurately (as parents suppose when they try to find them out). Because the gaze of the other is always a defining gaze, then, secrecy and dissimulation are sometimes adopted to prevent this gaze from finding its mark, that seeing they may see not. This, in fact, is one interpretation of magical invisibility. The protagonist of Dion Fortune’s Sea Priestess is at one point reproached by his censorious sister, who is sure that he is behaving scandalously. She warns him that if he scandalizes the servants, they may all leave. He answers that servants never leave when there is a scandal afoot, because they all want to see how it turns out4. In a large household of the traditional type, in fact, the denizens of the “upstairs” world are actors in a drama for which the “downstairs” world provides both the stage hands and a significant component of the audience — as, at the same time, the downstairs world can provide a spectacle for those who gaze (and intervene) from above. Whenever ideas, or thoughts, or feelings, or relationships, get onto the public stage, they stop being what they were and become, in a sense, staged. They are reduced to their surfaces. (A lyric poem is one thing when you read it to yourself in solitude, and something else entirely when you see it recited by a character in a play.) If such things are unavailable to a public gaze (or the gaze of a public), however, they cannot be summed up and dismissed in a glance. If they are approached at all, they must be approached by participation. If they are, then, to have a propaganda, it must be a propaganda of difficulty. This is why some philosophers are driven to develop new and even difficult modes of expression — and why, once that philosopher’s work becomes fashionable, these modes of expression are transformed into the current jargon of the chattering classes. Another reason for secrecy is related to the well-known problem of sincerity and self-consciousness. To say something, for anyone over a certain age, is to enact saying something. To say it too well is to call it into doubt. If he says, “I love you” with polish and aplomb, who will believe him? But if his voice trembles a bit, perhaps, and he finds it hard to speak clearly, then certainly he must be sincere. But perhaps he knows this — perhaps he is putting on this charming diffidence. How can we get him to express himself honestly, and be sure that he is not endeavoring to create an appearance? We can’t. Manifestation is appearance. At some point we must be satisfied with gestures and tokens, signs and indications. To be disappointed by a gift is to have supposed that a gift can and should by its nature give magical access to a heightened reality, rather than to have accepted it as a representation or token of reality. It is when we accept a gift, a gesture, or a word, as a token that we can accept it with its meaning still held within it. Respecting secrecy, then, is knowing when to stop a potentially infinite regress of explication, to express (or accept) an intention in a summary gesture or formula, and move on. It is the secrecy of old friends, and old couples, who know what does not need to be said, and how not to say it. At the same time, it establishes and fortifies that world of relationship, ensuring that even should they penetrate the physical confines of the household, for example, no spy, reporter, or dog that’s friend to man would be able to dig up and make apparent what everyone inside knows. And yet newcomers, growing into the household, would learn to sense its depths in its silences. Up to this point, I have discussed secrecy as it appears in dealing with people in a practical or business sense, and in the realm of more personal relationships. Though these are relevant enough to secrecy in esoteric circles, they do not reach some of the more specifically esoteric reasons for secrecy. To do this, I have to say something, finally, about the word “esoteric”, and what I mean by it. A thing is not esoteric because it is secret or kept hidden. It is esoteric because its existence is in some sense unmanifest, private, and by its very nature not available for examination from the outside: it is only available to participation, not, ultimately, merely to examination. In other words, the realm of the esoteric is, before anything else, the realm of consciousness, of experience. Now, from what we might call the ordinary point of view, consciousness is so transparent that it is practically invisible; from the point of view of esoteric disciplines, it is this invisible realm, and its relationship to the world, that is to be the very theme and center of attention. Oddly enough, it is the very action of consciousness that ordinarily makes consciousness invisible. The realm of consciousness is the unnoticed interface between subject and object, an interface that ordinarily seems infinitesimal. Usually the only question is, to paraphrase Humpty Dumpty, who’s to be subject. Who’s to see, and who’s to be seen. But as long as this stance defines the situation, the gate to the esoteric realm is barred. It is when the focus shifts — from the polarization of subject and object to the moment of experience out of which subject and object arise — that the doors swing open. 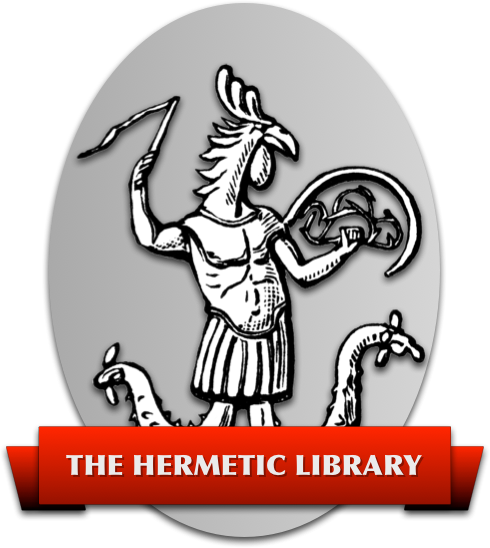 The puzzles and enigmas of certain Hermetic texts are a manifestation of esoteric secrecy and its possible corruption. Their proper esoteric function is not to give us an answer, but to wake us up to the nature of the answer we seek. The common jokes about the great Master who responds to a question about the meaning of life with some answer like “a carrot”, or “42”, play implicitly upon this point. The meaning of life is not the solution to a code, or a problem in translation or arithmetic. The meaning of life is what makes life meaningful. The trade secret of mastery of life is not something one can find by looking it up in the back of the book. The point of an enigma is not the answer, but the expansion that comes as a result of the work done in solving it. In an important sense, to focus on the answer is to defend oneself from the task of transformation, and, even more, from the transforming effects of the task. This is why esoteric systems often have slippage in them, and why I have left the secret fivefold structure of this discussion in seeming disarray. A Japanese psychiatrist, in the course of a perceptive discussion of the place of reserve in personal relations, comments on a surprisingly similar passage in which the Japanese Noh esthetician Zeami discusses the secrecy that surrounds the Noh theatrical houses9. Know the concealed flower. “What is concealed is the flower. What is not concealed cannot be the flower.” To know this distinction is the flower, and among all flowers this flower is the most important. From the beginning, the respective houses in the various ways and arts have called all matters pertaining to their disciplines secrets, precisely because. great work is done by making these matters secret. However, if what these houses call secrets are revealed, they are nothing of great note. But those who say that they are nothing of note do so precisely because they have not yet comprehended the matter of secrets. For Zeami, secrets did not exist because what they made secret was important. It was the fact of making something secret itself that was important. This is not to say that Zeami is simply recommending mystification as a way of increasing the weight or value of some piece of information. Rather, what may seem to be mystification is a way of making that information symbolic because it is hidden. Because it is hidden, it cannot be explained. Because it cannot be said, it stands in for, or acts as a pointer to, the unsayable. We map the extra, tacit, inarticulable dimension into the ordinary realm by the use of secrets. Or: the secret is the diagonal that allows the third, inarticulate dimension to be mapped into the plane, the domain of words. The silence that enfolds something kept unsaid points to the unsayable. By being wrapped in silence, what is arcane (kept hidden) comes to participate in what is esoteric (by its nature inexpressible). The secret becomes a symbol of the mystery, participating in what it points to, by the way in which it points to it. There is a story, perhaps apocryphal, of a curious person quizzing a statesman about some secret matter of general interest. The statesman leaned over and asked, in a confiding manner, “Can you keep a secret?” “Certainly,” said his interlocutor. Replied the statesman, “So can I.” Cut off from its context, this story is more than a witty rebuke: it carries almost the quality of a koan. Wake up, it seems to say, to what you are asking, and how. What is this curiosity, this emptiness you seek to fill with gossip? A thing can be said because it can be caught in the net of words; a thought is thinkable because it can be articulated and specified. But once said, once articulated, it is only the shell, the husk, of what went into its articulation. It is merely the vestige, the footprint, of the thinking, the articulating act, which itself was tacit. But before the object of though emerges (with the subject as its beholder) there is thinking. Before speech there is silence — and silence points backward, within, toward the origin, toward what only silence can express. If you had remained silent, says the old proverb (with that double sense, worldly and philosophical, common to such proverbs) you would have remained a philosopher. “The true Magician must understand his tools and, in periods of silence, he must contemplate words as one of them.”11 The word that is sufficient unto the wise is, surely, a word reaped in silence. 1. “Much that was once common knowledge has been gathered up and confined under the initiate’s oath of secrecy. It is Crowley’s jibe at his teachers that they bound him to secrecy with terrible oaths and then “confided the Hebrew alphabet to his safe keeping.” Thus Dion Fortune, in The Mystical Qabalah (London: Ernest Benn Limited, 1966; originally 1935; p. 27). The phrasing has been compressed and tightened in the re-telling; Crowley’s account, in The Confessions of Aleister Crowley: An Autohagiography (London: Jonathan Cape, 1969 [first two parts originally 1929], pp. 177-178) is at once more diffuse and more nuanced. 2. Lun Yü [Analects] VII:8; this does not mean that he held anything back from his students (cf. VII:23). 3. See Sartre’s discussion of “The Look” in Being and Nothingness: An Essay on Phenomenological Ontology (New York: Washington Square Press, 1968 (Hazel E. Barnes, trans. ), pp. 347 ff.). 4. Sea Priestess (London: The Aquarian Press, 1957), p. 20. 5. George MacDonald, At the Back of the North Wind (London: J.M. Dent & Sons Ltd., 1967 [originally 1870], p 322. 6. See Israel Regardie, ed., The Complete Golden Dawn System of Magic (Phoenix, Arizona: Falcon Press, 1984), vol. 7, p. 42. 7. Sartre, op. cit., pp. 101 ff. 8. Fortune, Mystical Qabalah (op. cit.). 9. Takeo Doi, The Anatomy of Self: The Individual Versus Society. Tokyo: Kodansha International, 1988; 110-111. 10. Eithne Wilkins, The Rose-Garden Game: The Symbolic Background to the European Prayer-Beads (London: Victor Gollancz Ltd., 1969), p. 115. 11. Regardie, op. cit., vol. 3, p. 54.